The Taylorville Fire Department responded to a rural structure fire at 921 North, 965 East, just east of Clarksdale at 8:16 p.m. Tuesday night. 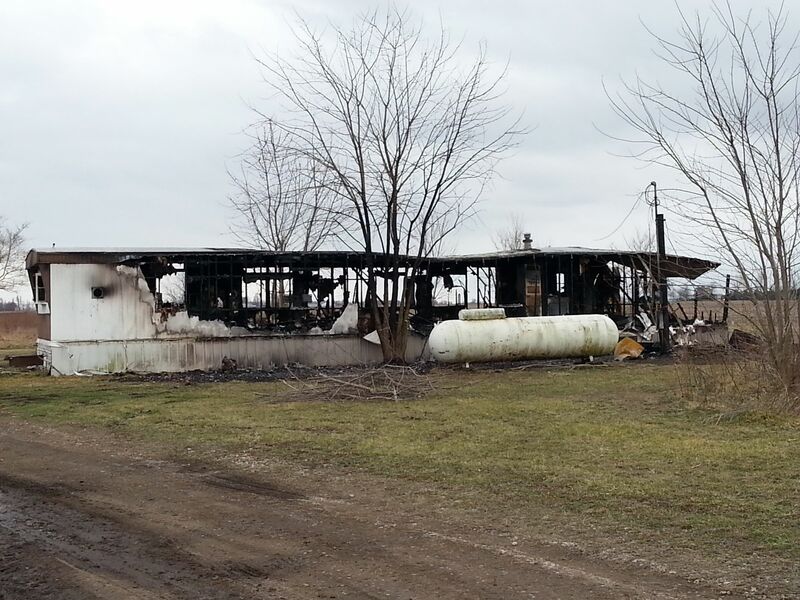 When firefighters arrived, they found a trailer that was fully engulfed in flames. According to Taylorville Assistant Fire Chief, Andy Goodall, the person who was residing there at the residence, Destiney L. True, was awoken by a neighbor and they were able to escape safely from the burning structure. The trailer was at a total loss and had no insurance. Mutual aid from the Owaneco Fire Protection District was also there to assist the fire department. Goodall further stated the fire was possibly started due to an electrical issue. No injuries were reported. Firemen were on the scene for about an hour and 20 minutes. *Photo was taken today (Wednesday).